This full color, photo rich publication describes sixty-two species. 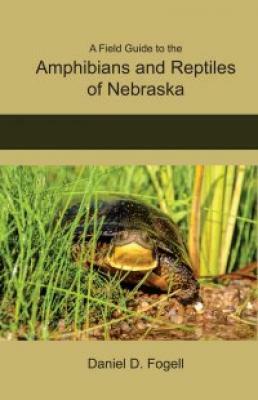 These fourteen amphibians and forty-eight reptiles call Nebraska home. Of the 14 amphibian species there are 11 species of frogs and toads and three species of salamanders. Nebraska"s reptiles include nine species of turtles, ten species of lizards, and 29 species of snakes. Descriptions of each species is non-academic and readable. It is also complete with habitat, natural history and distribution. Distribution maps show which of Nebraska's 93 counties have had sightings of each species. A Valuable addition to understanding and appreciating the wildlife of the plains states.